On display at Aquarium of the Bay, San Francisco, CA. This model extends for ~6'. 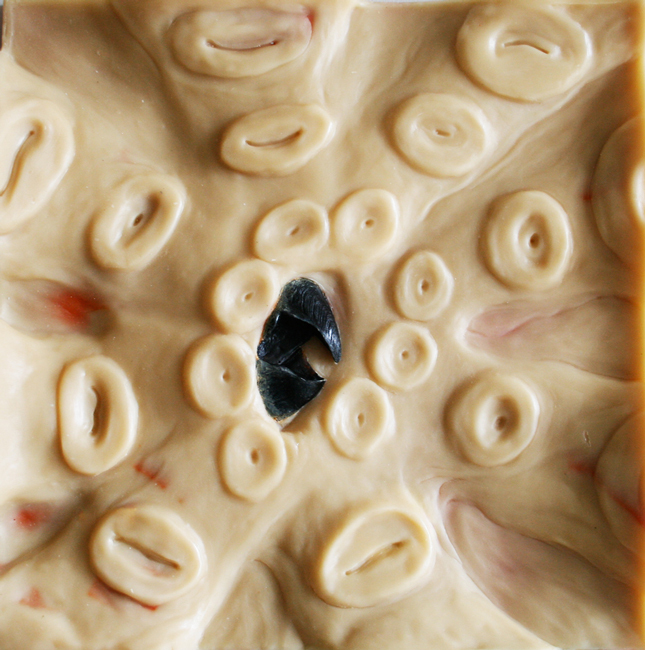 Touchable, bas-relief panel featuring the octopus beak. 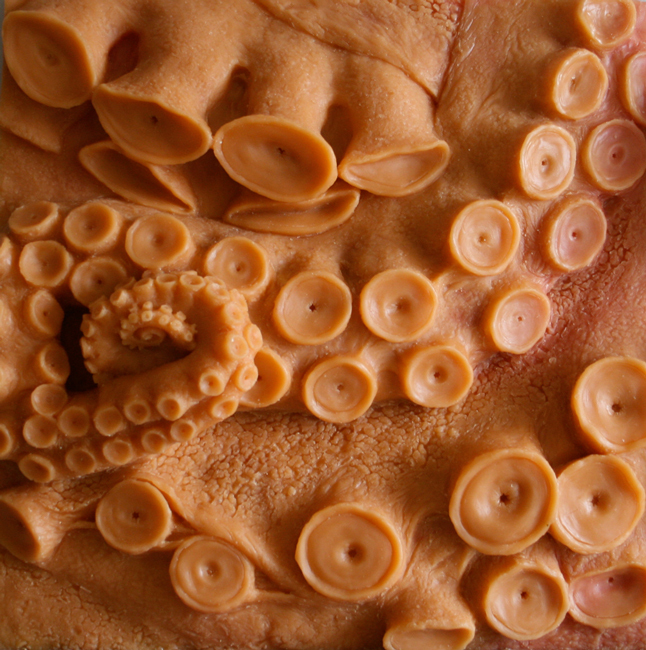 This 2' x 2' panel shows the enlarged details of an octopus beak. It is made from a durable, rubberized material. Touchable, bas-relief panel featuring the parts if the octopus. 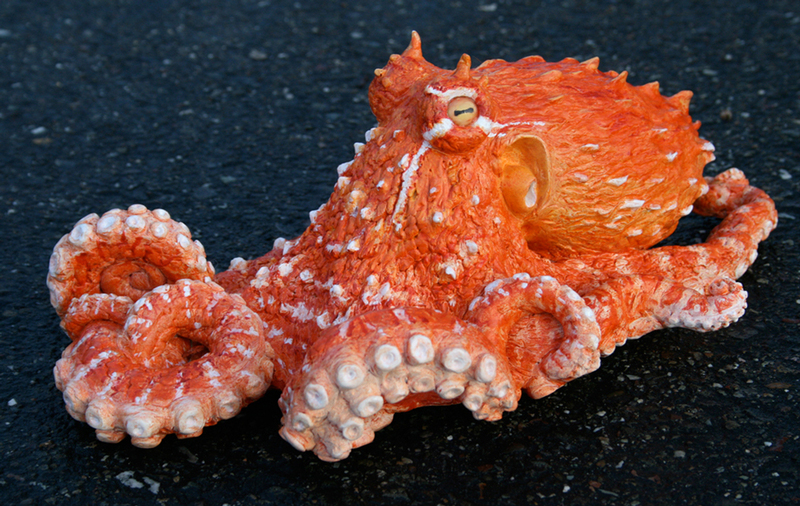 This model is on display at the Alaska Islands & Ocean Visitor Center, Homer, AK. It is approximately 12' in width. Touchable tidepool rocks, marine invertebrate animals, seaweeds, water, and sandy beach made from FGR plaster, urethane, acrylic, polyester resin, and mixed media. Location: Bear Valley Visitor Center, Point Reyes National Seashore. 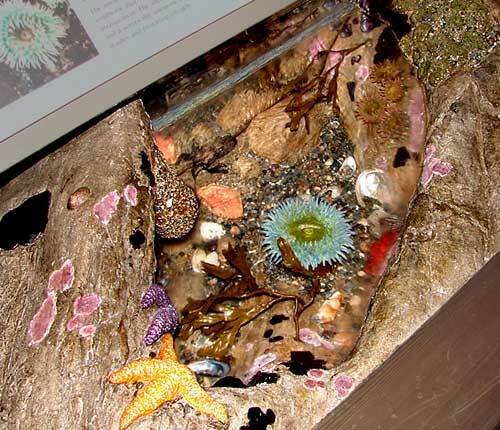 Here is an example which uses many models integrated into a tidepool exhibit. 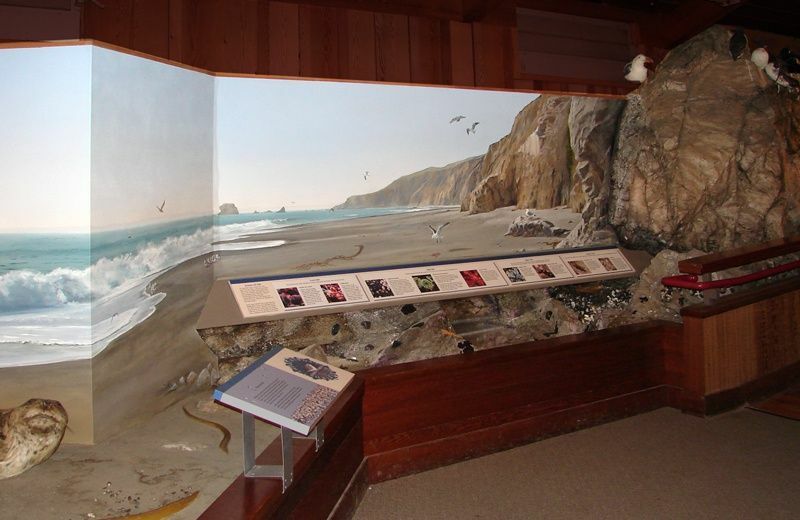 This work is at the Point Reyes National Seashore, Bear Valley Visitor Center, California. Point Reyes Tide Pool and Beach Zone is 8' X 24' X 4'. This exhibit includes touchable tidepool rocks, marine invertebrate animals, seaweeds, water, and sandy beach are made out of FGR plaster, urethane, acrylic, polyester resin, and mixed media. Mural is acrylic on canvas.